The effects of concussions can be disastrous for athletes, both at the time the damage occurs and even years later after they’ve hung up their pads. Unfortunately, these injuries can be hard to diagnose when athletes get older because experts don’t know if they can attribute symptoms to past head trauma or to other factors like unrelated neurological conditions or the aging process. In fact, the only way to prove the presence of brain damage caused by a concussion up until now has been through a post-mortem examination, which is obviously not too helpful to patients who are still alive and kicking. But researchers from the Université de Montreal, The Montreal Neurological Institute and Hospital (The Neuro), and the Ludmer Center for NeuroInformatics are developing new methods to address this deficiency. Using artificial intelligence, the researchers have developed a diagnostic signature that can accurately detect the presence of long-term concussions which may have caused lasting brain damage. 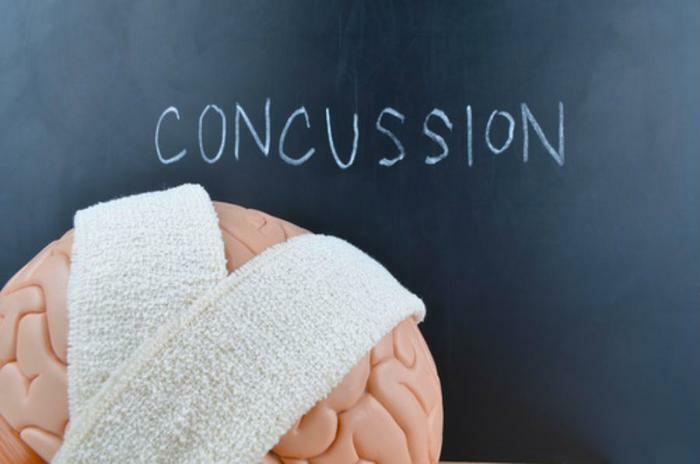 "With 1.6 to 3.8 million concussions per year in the US alone, the prevalence of this injury is alarming," said first author Dr. Sebastien Tremblay. "It is unacceptable that no objective tools or techniques yet exist to diagnose them, not to mention the sheer lack of scientifically valid treatment options. With our work, we hope to provide help to the vast population of former athletes who experience neurological issues after retiring from contact sport." To test their new method, the researchers recruited former college athletes between the ages of 51 and 75 who played football and hockey. After narrowing down the selections, 15 former athletes who reported being concussed during their playing careers were formed into a cohort with 15 athletes who had not been concussed. The participants took part in a wide variety of neurological and genotyping tests, after which the researchers pooled the data and fed it into computers outfitted with artificial intelligence (AI) software. They found that the AI was able to “learn” the differences between the brains of healthy athletes and previously concussed athletes. In particular, the AI noted that formerly concussed individuals had white matter connections in several brain regions that were abnormal, which could indicate degeneration and the brain’s method of compensating for the damage. In all, the researchers say that the AI was able to detect concussions with up to 90% accuracy. The researchers say the development of this new technology couldn’t come at a better time, given the huge spike in reported concussions for athletes in recent years. Government statistics show that concussion rates increased by 40% between 2004 and 2014 for young football, soccer, and hockey players. Professional athletes will surely be happy to hear news of better technologies for concussion detection. Retired NFL and NHL players have filed suits in recent years against their leagues, charging that officials did not do enough to protect them from concussions. However, their claims have often fallen short because of a lack of objective evidence that their symptoms were due to concussions they sustained while playing. While the technology is not yet fully refined, the researchers say that further testing will improve the system. "Future studies, including systematic comparisons with patient groups presenting with other age-related neurological conditions, together with identifying new biomarkers of concussion, would help refine the developed, computer-assisted model of the remote effects of concussion on the aging brain," says Dr. Louis de Beaumont, a researcher at Université de Montreal and the paper's senior author. The full study has been published in the European Journal of Neuroscience.